Family: Martynia (Martyniaceae). 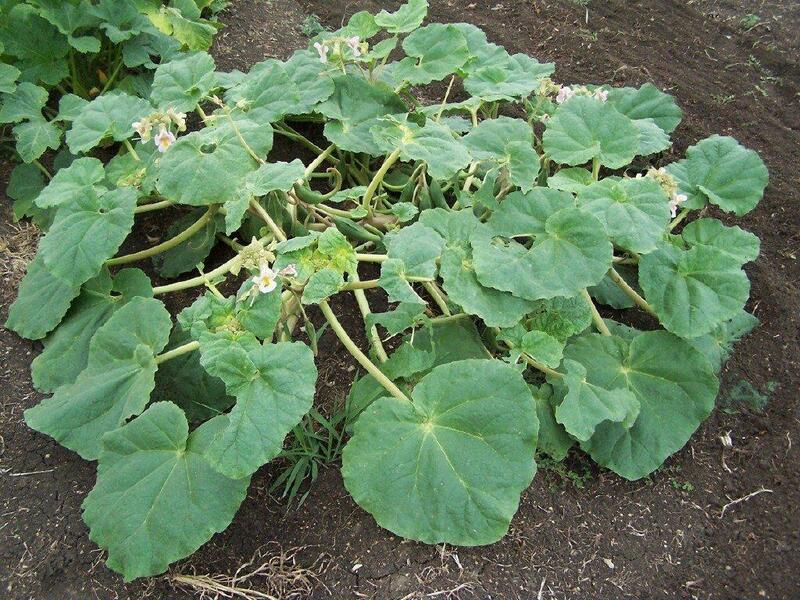 This annual plant has broadly ovate-triangular leaf blades 2 – 6 inches wide that are entire to shallowly 3-7 lobed. The inflorescence is 4 - 10 flowered and ranges from white to pink. The throat of the corolla is mottled purple with two lines of purplish spots or not. The nectar guides are yellow. The fruits have beaks or claws and black seeds. Plants from the desert have white seeds with claws that are greater than 7’ long and have been called var. hohokamiana. Habit: Found in disturbed dry places below 1000 feet. in the deserts of southwestern California to Arizona, southern Nevada, to western Texas and northern Mexico. 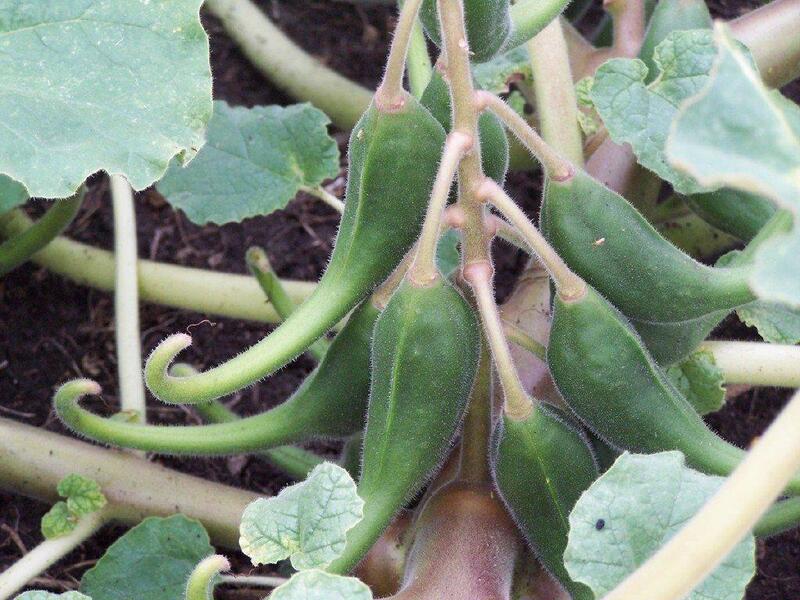 Use: The claws of the mature seedpods of devil's claw were collected in autumn, split and used to create black basketry designs by many tribes in southern California and the Southwest. These tribes include the Chemehuevi, Kawaiisu, Owens Valley Paiute, Tubatulabal, Havasupai, Papago, and Pima. Because the claws are durable, they were often used to construct the base of baskets among the Papago and Pima. The material is still gathered wild or plants are cultivated in home gardens by contemporary weavers. The Papago used the young pods as food, while the Pima cracked the seeds between the teeth and ate them like pine-nuts. To treat rheumatic pains, the Pima broke off a small piece of the claw and pressed it into the palm of their hands. Growing: Start devil's claw by seed. The seeds should be soaked in warm water in a clean vessel for 8 hours prior to spring planting. After soaking, plant the seeds immediately in full sun in a well-drained soil and at a depth that is the width of the seeds. 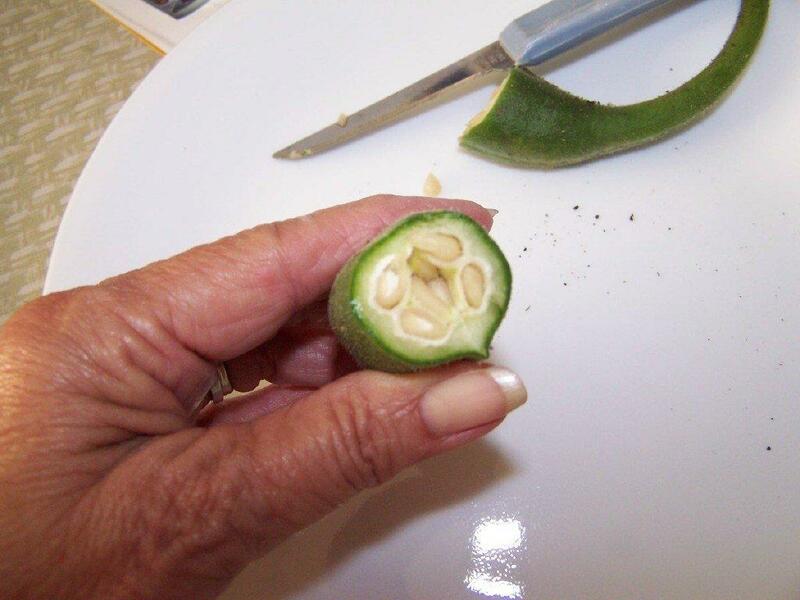 that is the width of the seeds. Water the seeds, keeping the soil slightly moist.After seedlings have appeared, allow the surface of the soil to dry between watering. In areas with summer rainfall, only supplement watering if rain is sparse. In areas without summer rainfall, mimic this rainfall pattern by watering once every 2 to 3 weeks. Once the seedpods have started to ripen, stop watering. When the seedpods mature, collect them and shake the seeds to get them out of the pods and let them air dry in partial shade in a screened-in porch or indoor. Keep the seeds in a container or paper bag on an open shelf at room temperature until the next planting cycle, the following spring. Devil's claw does not need protection from wildlife.